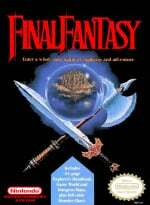 If you have ever played one of Square Enix's Final Fantasy games before, you will have probably heard Nobuo Uematsu's work. The famous Japanese composer, aged 59, is occasionally referred to as the "Beethoven" of video game music and has been working at Square since 1985. In the latest post on his Line blog page, Nobuo revealed he would be taking an indefinite break from work, due to his current health. It sounds as if holding concerts worldwide and composing new works on a regular basis has finally caught up on him, with serious fatigue now setting in. His current plans are to use the remainder of 2018 to rest up, in hope of regaining his health and stamina. While he's not sure about an immediate return to his work next year, he remains committed to making a recovery. From the community and team here at Nintendo Life, we wish Mr Nobuo all the best and hope to see him back doing what he loves in the near future. I wish him to heal. His music are so awesome! I'm totally sure that everyone want to listen his music again and again. Yeah, no need to push yourself. If anyone deserves to rest and recuperate it's one of the greatest composers of our age. I hope he returns to good health. That's a bummer. Last time an older gaming icon I loved took a leave like this it turned out to be bile duct cancer. 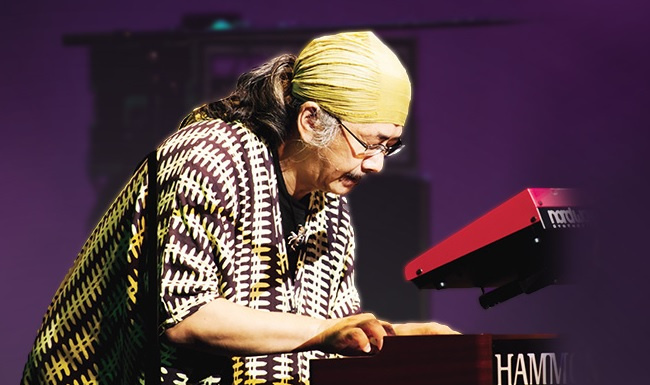 Get well soon, Mr. Nobuo Uematsu ! Poor guy. He should just stay at an inn or drink a Hi Potion. Seriously though, its crazy to start to see legends like him and Miyamoto get old. That’s sad to hear! I wish him all the best , and hopefully we’ll get more music from his wonderful mind soon. Don’t you dare die on me!!! I NEED YOU IN MY LIFE!!!! Oh gosh, I wish him a speedy recovery. That's a good choice. In my experience too few people in Japan have both the willingness and financial ability to make that choice. More than a small number of "salarymen" and other business types and particularly homeroom teachers in schools, work themselves literally into a hospital bed. Sad to hear. He's contributed more to the games industry than nearly anyone. Although, you should've titled the article "This guy are sick". Mr. Uematsu's music from the Final Fantasy games has helped me through many hardships, and has resonated with me on a personal level. The man deserves the break, hope he gets well soon. I didn't know he did Fantasy Life! I wish him the best of luck. Nothing but love for this guy!!! Indefinite break sounds like a goodbye. Hope all goes well. 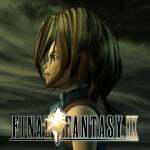 Soundtrack of FF VIII outshined the game itself! 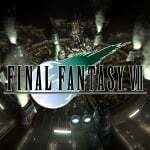 I immediately wanted to play FFVI. Hands down the best music I've heard on the SNES. Better than my all time favorite game Super Metroid. Can imagine what kind of illness it most likely is. I Wish him all the best. Hopefully we will be able to enjoy his creations for a while longer. I had the pleasure of meeting him before. He is extremely friendly and kind. I truly wish him good health and a speedy recovery. He is honestly one of my favourite people in life. As a Final Fantasy and Nintendo fan I rate him as highly as Miyamoto. My Spotify is filled with his music and I have bought numerous piano collections and orchestral albums of his work from Japan and it is great to experience gaming though music while I’m at work or driving. I hope this is just him feeling like he needs a break and nothing more serious. We need creative geniuses like this man to stay around. I wish him all the best. I actually had the pleasure of meeting him once in Leipzig more than a decade ago, really chill guy and obviously I love his music. I wish him a speedy recovery and generally him and his family the very best. There is more to live than work after all! Absolutely adore this man's music. Take a rest and get well soon. 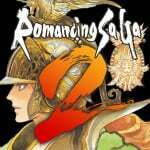 I see Romancing Saga 2 listed up there in the article. He didn't compose for that game. Kenji Ito did. EDIT: OK, rectification, he contributed to TWO tracks for the game, in collaboration with Kenji Ito. "The Legend Begins" and "Heartful Tears". Fair enough. Aware of the unintentional, utter, bitter irony behind the following words, I have to be that guy on the thread. As I sort-of muttered under my breath in that one comment section linked below, I'm [not] impressed at how different the reaction is now that the person struggling with health (on a presumably not fatal scale) is a gaming industry giant instead of an actually, openly bedridden cancer patient. I've already spotted one user who had rather different, not to mention unkind, words in what is now one of the most controversial threads of the site, and is now among all those wishing Uematsu the best. What if I were the one asking "why the special treatment" here? Now that I'm done getting stuff off my chest, of course I want to join in all those who are wishing Nobuo Uematsu the best. The other half of this comment doesn't mean I'm not, in case anyone was wondering. Uematsu is the mind behind many of my favourite tunes in the FF franchise, and also famously composed Super Smash Bros. Brawl's theme. Indeed, the artist needs a well-deserved break before resuming work again. We're with you, Nobuo! I absolutely loved the Chocobo Racing soundtrack. I was wondering why I loved the RoSaGa 2 boss theme just as much, back when I first heard a remix of it in the Michael Quest flash video in the internet's sort-of early days. I'm pleased to learn why I did. 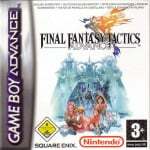 I've actually been playing some Final Fantasy III on my SNES Classic this week. Prayers for a speedy recovery getting back to full health. He's done some positively femalecanine-ing work on Smash Bros. too, as of late. Any other highlights, barring RoSaGa and ChocoRa? Something tells me that this is more than "fatigue" leading to this. Hopefully all will be well, he's probably the first composer that showed me what a video game can and should really do musically, but even outside being for video games, his music is simply moving simply as music. 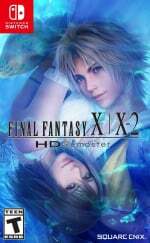 I am a huge Final Fantasy fan, and his music really is a big part of the series. Hope he is able to get well soon. Always love the mans work from Final Fantasy to Granblue Fantasy, hope he gets better. Uematsu has the greatest body of work of any video game composer apart from maybe Kondo; indeed, pigeonholing him as "just" a video game composer is doing him a disservice. I wish him nothing but joy and health.